When I saw these on The Dutch Baker’s Daughter I knew I had to try a vegan version. So, these are not healthy muffins, lets get that out of the way right now. 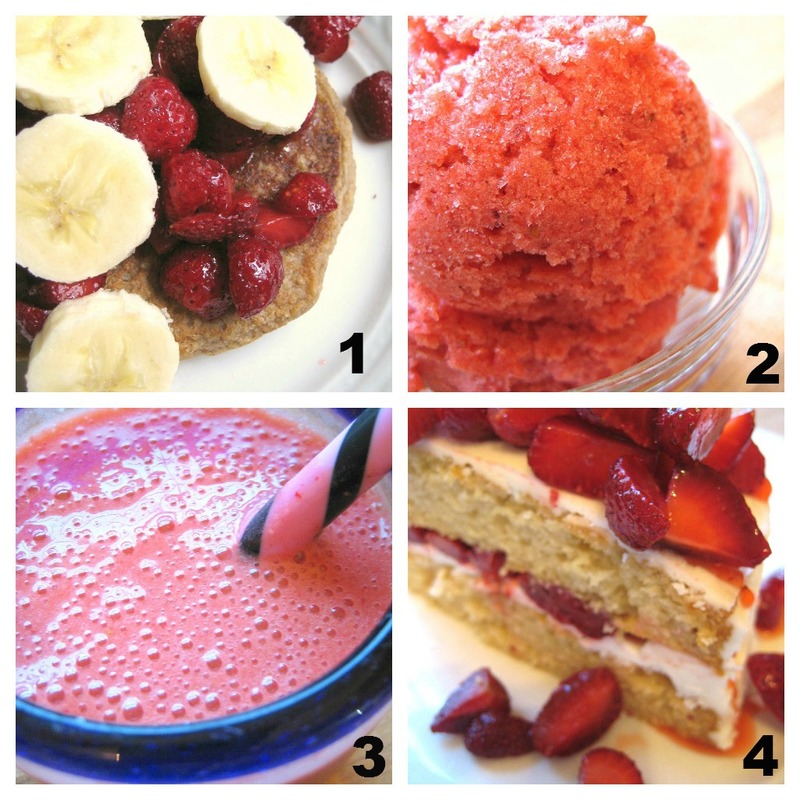 How about we have them for dessert and not breakfast?…great, problem solved! 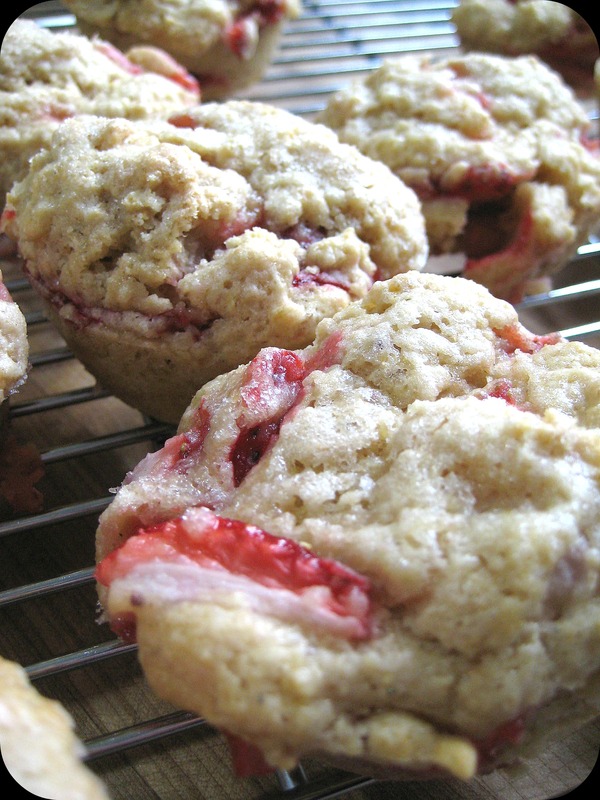 First prepare your flax egg and then coat your strawberries in 1/4 cup of the all purpose flour, set these aside. Combine dry ingredients in a large mixing bowl; whole wheat pastry flour, 3/4 cup all purpose flour, baking soda, sugar, salt, cardamom and orange zest. In a small bowl combine soy creamer, flax egg, melted margarine, and vanilla. 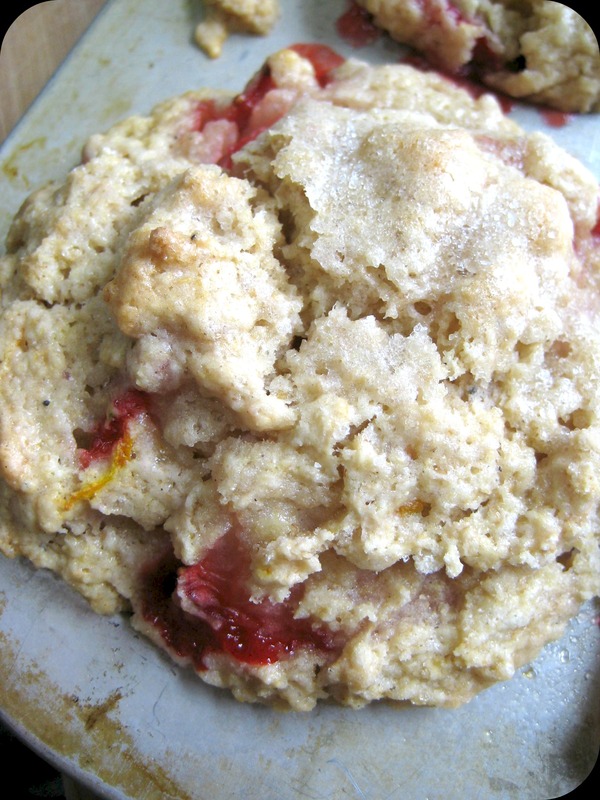 Add this wet mixture and the strawberries to the dry, mixing only until just combined, though do make sure you don’t have any pockets of flour hiding among the strawberries. 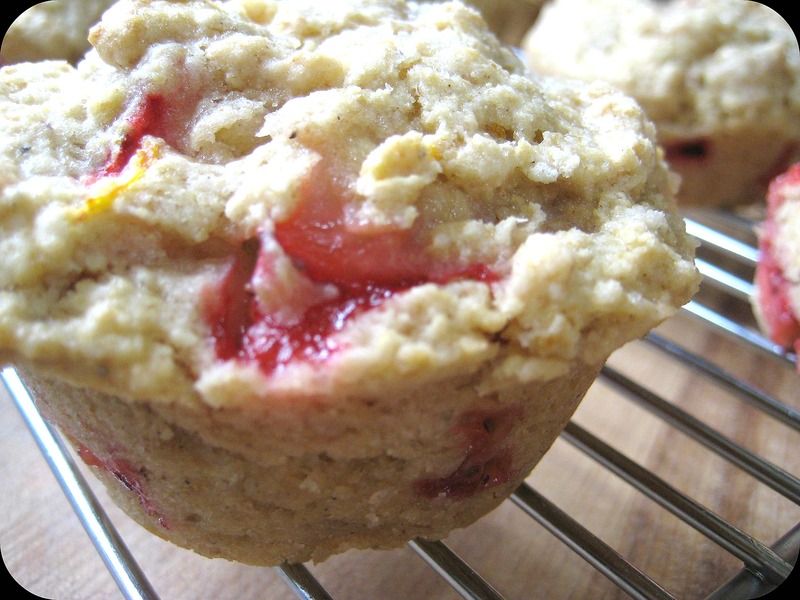 Divide batter among a prepared 12 cup muffin pan and sprinkle with sugar if desired. Bake for about 20 minutes in a 400 degree oven. Let these guys hang out in the pan for a few minutes before removing to cool completely, they are very fragile.